Lake of the Ozarks, Mo. 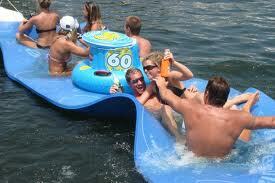 - Few vacation destinations can offer as many types of trails as the Lake of the Ozarks. One good thing always leads to another on the Lake's wine trail, aquatic trail or golf trail, for example. Read on for hot topics and tips to get you started on summer stories about the Lake's many trails. Along the 95 miles of the Art and Ambiance Trail, visitors to the Lake of the Ozarks will find artists working in media from glass to metal. Many of the artists will invite visitors into their studios to see their work. Local art also is available in the galleries along the trail. The work of these talented local artists is sure to nourish the soul. Visitors also can nourish their bodies along the trail at unique local eateries - including bakeries and coffee shops. Local wineries add the finishing touch to a trip filled with art and ambiance. For more information, go to: http://www.artandambiance.com/. The Lake's six wineries form the Wine Trail. They invite visitors to sample the fruits of their labors and enjoy the views of the vineyards and the area's scenic beauty. Casa de Loco Winery,Camdenton, offers the perfect pairing of romance and wine. Luxury accommodations are available for those who would like to stay at the winery. Tastings are available of wines including "Straightjacket Syrah" and "Rojo Loco." 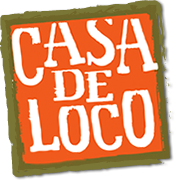 Casa de Loco offers custom blending parties, allowing visitors to create their own wines. Find all the details at: http://www.casadelocowinery.com/. Eichenberg Winery, Cole Camp, brings the German heritage of the area to life in wines crafted from varieties of German grapes that grow well in the Central Missouri climate. Eichenberg offers varieties of wines from deep, dry reds like "Norton" to the light, sweet white of "Liebersaft," the "love juice" of the vineyard. 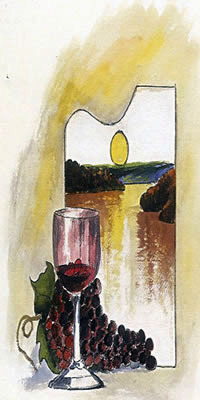 Learn more about the winery at: http://www.eichenbergwinery.homestead.com/. 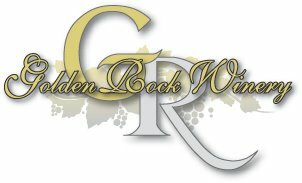 Golden Rock Winery,Camdenton, offers 30 varieties of red, white, fruit and specialty wines, including "Cab Syrah Zin" and "Bella Bianco." An onsite restaurant prepares delicacies in a green kitchen. Wine tastings are available and Golden Rock also will custom label bottles of wine in a matter of minutes to make the perfect gift for any occasion. More information about the winery can be found at: http://www.goldenrockwinery.com/. Seven Springs Winery, Linn Creek, is situated between Osage Beach and Camdenton in the rolling foothills of Central Missouri. 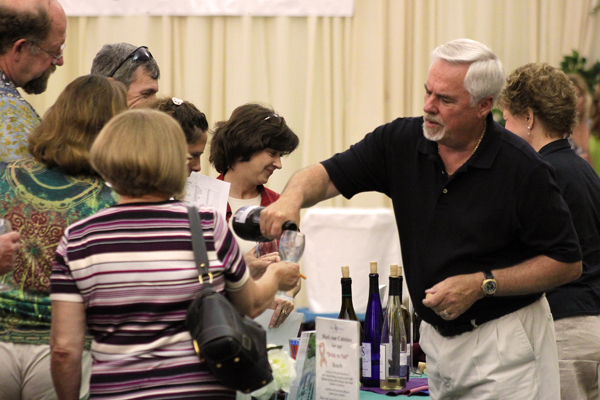 Visitors can enjoy one of their signature wines like "Traminette" white or "Seven's Red Heaven." Seven Springs offers a light menu for lunch and a full dinner menu in the evening. There are even a few micro-brews for those with an alternate palate. Visit the website at: http://www.sevenspringswinery.com/. Shawnee Bluff Winery,Lake Ozark, sits atop a bluff on Bagnell Dam Boulevard, offering a panoramic view of the Lake. In addition to hand-crafted wines like the "Flappers and Philosophers" white and "Retro Red," they offer brick oven pizza and even lodging accommodations for those who would like to stay at the facility. 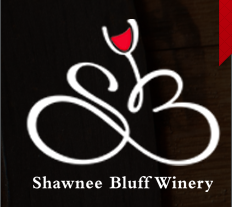 Learn more about Shawnee Bluff at: http://www.shawneebluffwinery.com/. Sugarloaf Winery, Camdenton, h as much to offer visitors to the Lake of the Ozarks - wine, music, Lake views, barbeque, pizza, lodging accommodations and even kayak rentals. Sugarloaf visitors can enjoy the scenic beauty of the Lake's Niangua arm along with one of seven wines, including "White Pelican" or "Sir Ivory." Learn more at their website: http://www.sugarloafwinery.com/. In most cases, "trail" and "water" might not seem to go together, but the Lake of the Ozarks Aquatic Trail is the exception. This 9.75-mile trail gives visitors a unique perspective of the beauty of Lake of the Ozarks State Park - enjoying the shoreline from the water, instead of the other way around. Buoys mark key points along the trail between Grand Glaize Beach and the main campground. The letters on the buoys correspond with descriptions in the Aquatic Trail Guide, which describes the stops along the trail. The guide is available in several locations around the park. 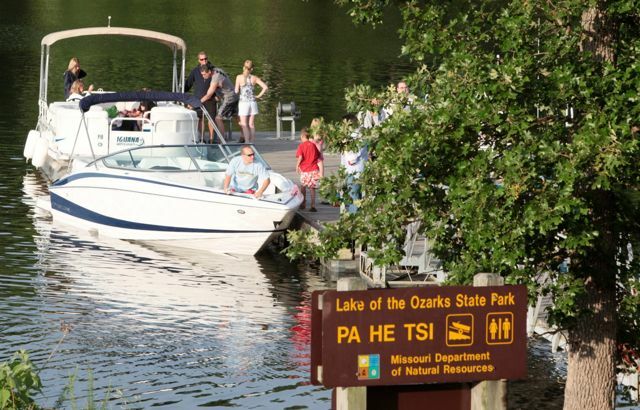 Additional information is available at http://www.mostateparks.com/trails/lake-ozarks-state-park?type=boating. The Lake of the Ozarks Golf Trail is the one to take for visitors who want to see the Lake hole-by-hole. The 13 courses along the Golf Trail are carved into the hills of the Missouri Ozarks, offering beauty with every drive and putt. However, playing the challenging courses designed by golf greats such as Arnold Palmer, Tom Weiskopf, Bruce Devlin and Robert Von Hagge may not allow visitors much time for admiring the scenery. Find out more about the Golf Trail at: http://golfingmissouri.com/. Peaceful glades, natural woodlands and shoreline views of the Lake await Lake of the Ozarks visitors who choose to hike the 12 trails at Lake of the Ozarks State Park. The park's trails range in length from seven-tenths of a mile on the White Oak Trail to 13.5 miles on the Trail of Four Winds. Fawn's Ridge Trail has a section that is wheelchair accessible. The trails are well marked with blazes for hikers and offer opportunities to see area wildlife. 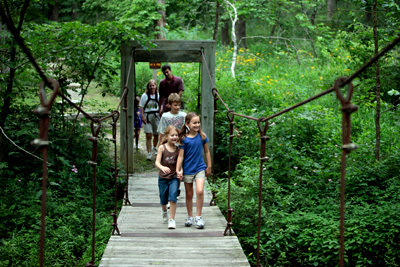 At Ha Ha Tonka State Park, several short trails offer tree identification labels and other interpretive opportunities. Three of the park's 14 trails are paved and wheelchair accessible. Trail lengths run from 430 feet to more than six miles and include interesting geographic formations, like sink holes and natural bridges. The website offers individual descriptions of each trail and other helpful information for hikers: http://www.mostateparks.com/. The operators of Ozark Homestead Riding Stables, located in Lake of the Ozarks State Park, believe there is a little cowboy in everyone. 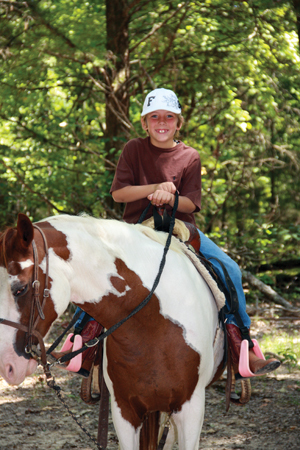 Visitors to the Lake are invited to find their inner cowboy on one of Ozark Homestead's trail rides in the park. One-hour and two-hour rides are offered and will take riders along the scenic trails in the park. There are even pony rides for small children who are not yet ready to ride on their own. Visitors to the Lake of the Ozarks are also invited to bring their own horses and enjoy the park's three equestrian trails. For more information about trail rides at Ozark Homestead, go to: http://www.lakehorse.com/. General information about horseback riding at Lake of the Ozarks State Park is available at: http://www.mostateparks.com/trails/lake-ozarks-state-park?type=horseback%20riding. Tan-Tar-A Resort also offers two miles of trails meandering through the wooded rolling hills adjoining The Oaks and Hidden Lakes golf courses on the resort's property. Visitors of all ages and experience levels can saddle up at Circle R Stables at the resort. For more information, go to http://www.circlerstables.com/. The summer season is loaded with fun fairs, festivals and events at the Lake of the Ozarks. For more information about summer getaway packages, lodging, dining, shopping, events and attractions throughout the Lake area, contact the Lake of the Ozarks Convention & Visitor Bureau at 800-FUN-LAKE (386-5253) or visit the Bureau's website, FunLake.com. Hot Summer Nights is a monthly car cruise featuring all makes and models of cars, trucks and motorcycles. 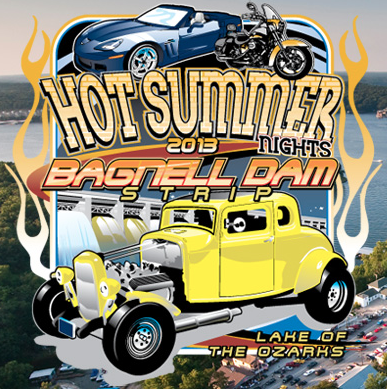 It's an opportunity for car enthusiasts to cruise the mile-long Bagnell Dam strip to show off their own rides or admire someone else's. Hot Summer Nights includes family friendly fun. There will be giveaways, food and DJ Leo Case "spinning tunes" to put attendees in a "sock hop" frame of mind. Hot Summer Nights asks "Where Were You in '62?" as it celebrates the 40th anniversary of the movie "American Graffiti." For more information, go to: CruiseHotSummerNights.com. Visitors to the Lake of the Ozarks can experience traditional 4th of July fireworks from a different perspective - on the water. Those who want to spend Independence Day at the Lake should plan a getaway now at one of more than 200 local lodging properties. 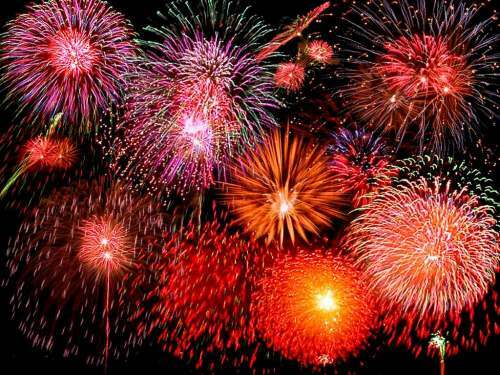 Communities and resorts around the Lake will offer spectacular displays of pyrotechnics on July 4 and over the holiday weekend. Visitors can enjoy them on land at festivals featuring food, fun and games. Those with boats can take to the water on their own. Others can make reservations to view the fireworks on tour boats like the Tropic Island or the Celebration, which offer special fireworks cruises. For exact times, dates and locations for fireworks displays, go to FunLake.com. 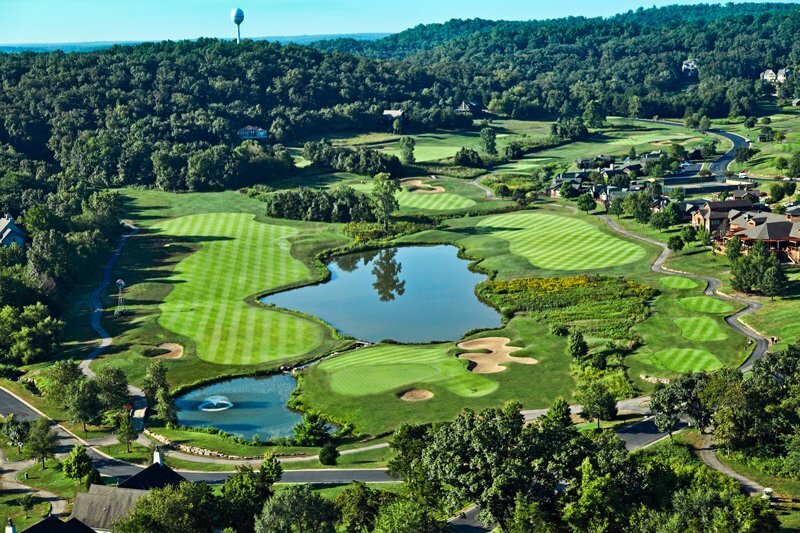 The Missouri Women's Golf Association (MWGA) will play its annual Amateur Championship Tournament at Old Kinderhook Golf Club in July. Karen Johnson of the MWGA said Lake of the Ozarks and Old Kinderhook have been "top on our list for an MWGA Amateur Championship." The quality of the maintenance and design of the Tom Weiskopf course, which plays at approximately 5,900 yards, was the draw for the group. "This is our 75th anniversary of the Amateur Championship, and we wanted to choose a special place to commemorate the occasion," Johnson said. The tournament showcases the top women amateurs in a 54-hole stroke-play competition. Spectators are welcome at the tournament. For more information on the event, visit MoWomensGA.org. 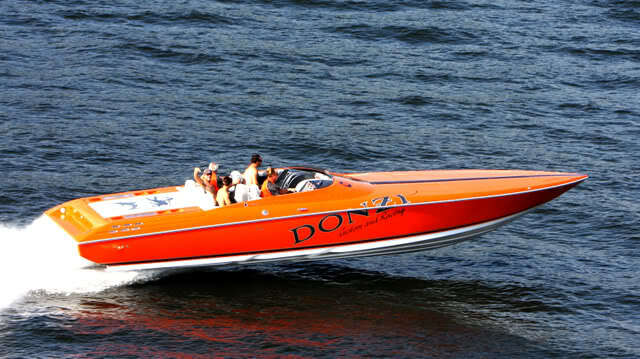 The Lake of the Ozarks Marine Dealers Association along with some area businesses will host Aquapalooza, the single largest one-day boating event at the Lake of the Ozarks. Dog Days Bar and Grill on Jeffries Road in Osage Beach, or at mile marker 19, will host the afternoon of family-friendly fun on the water. This year's Aquapalooza will feature up-and-coming musicians Nic Cowan and the Brian Collins Band, along with the classic rock of The Devonshires and, from Kansas City, the acoustic vocal trio Rock Paper Scissors. For more information, go to: FunLake.com/Aquapalooza/. Discover and appreciate the art of wine and beer tasting as you sample the bottled offerings of local and regional wineries and breweries. Specialty vendors and restaurants will be present to complete the experience with hors d'oeuvres. The event is held at the Country Club Hotel and Spa in Lake Ozark. Tickets are $15 in advance or $20 at the door and include a souvenir wine glass. For more information, contact the Country Club Hotel and Spa at (573) 964-1008. Named one of the nation's eight must-see boating events by Powerboat Magazine, The Shootout is the largest unsanctioned boat competition in the U.S., and more than 100 boats individually race to be named the Lake's fastest boat. This thrilling spectacle takes place at Captain Ron's Bar & Grill, just south of the Hurricane Deck Bridge at the 34.5 mile marker in Sunrise Beach. For more information, please visit LakeOfTheOzarksShootout.org.